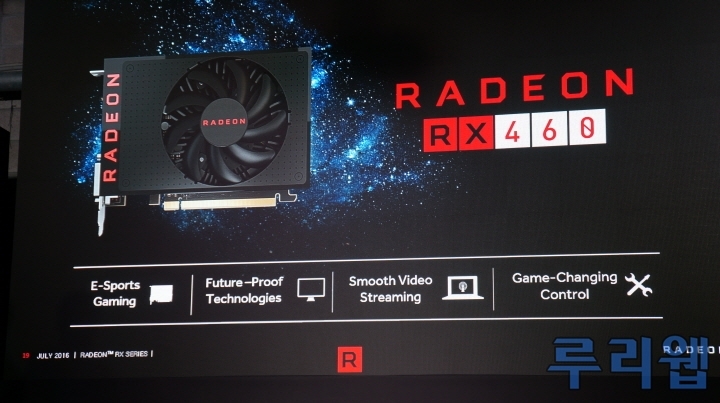 The first official performance numbers of the Radeon RX 470 and Radeon RX 460 have been revealed by AMD themselves during a launch presentation of Polaris in Asia. The new graphics cards will further expand Radeon RX series family with parts that cost less and perform well. The GCN 4.0 DNA inside the Polaris GPU makes the cards very power efficient and deliver great increases in performance over their predecessors. The Radeon RX family of graphics cards will be complete in August with the arrival of RX 470 and RX 460. Both, the Radeon RX 470 and the Radeon RX 460 utilize the Polaris chip architecture. Radeon RX 470 is based on the Polaris 10 GPU albeit a cut down variant from the one featured on the Radeon RX 480. 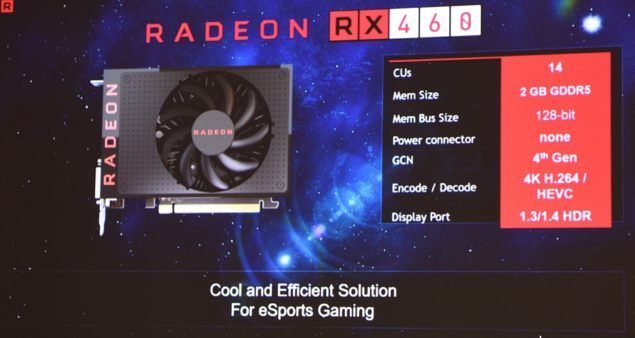 The Radeon RX 460 features the Polaris 11 GPU which was supposed to feature 16 CUs according to previous slides but specs for this card show that it will actually feature 14 CUs. 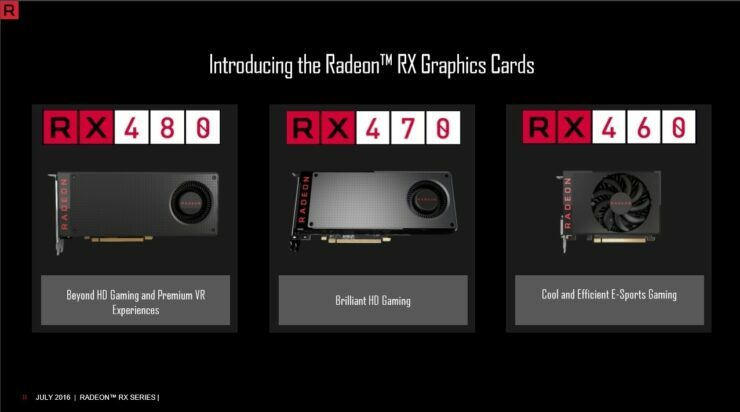 Both cards are aimed at the budget segment with a $149 US price for the Radeon RX 470 and $99 US price for the Radeon RX 460. 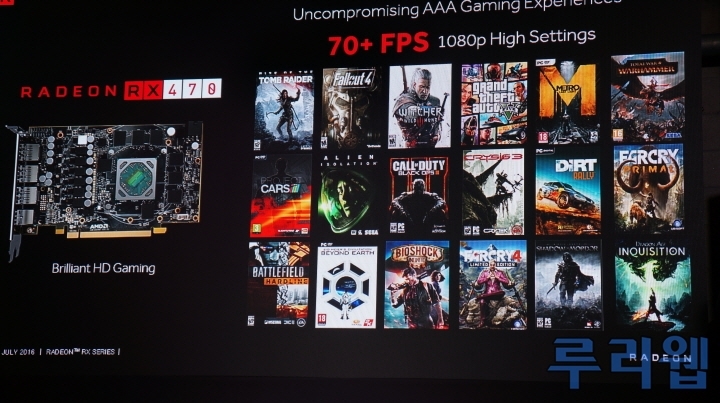 The performance slides show what should be expected from these cards. The Polaris 10 GPU is featured on the Radeon RX 470 and Radeon RX 480 graphics cards. The AMD Radeon RX 470 graphics card features 2048 stream processors with a clock speed of 1206 MHz. It has 4 GB of GDDR5 memory clocked at 7 GHz for 224 GB/s bandwidth and the reason why it won’t be available in 8 GB variant is because of its price and market segment. At $149 US, AMD wants the RX 470 to be the best 1080p card and that can be seen in the performance slide posted below which shows that the card will offer a smooth 60 FPS+ gaming experience in many AAA titles on 1080p with High Settings. Right now, the only graphics cards that come in this price range are the Radeon R7 370 ($139 US) and the GeForce GTX 950 ($139 US). Both cards are great products but don’t expect them to let you play with the quality settings turned to Ultra or High in most recent titles. The GTX 960 and R9 370X are decent products based on their performance but they cost around $199 US which is a market taken over by the RX 480. The Radeon RX 470 will be a great upgrade for users who are currently running a Radeon R7 370 series or a card that offers similar performance. The Radeon RX 460 replaces the Radeon R7 260 and Radeon R7 360 series cards. This card features 896 stream processors which deliver around 2 TFLOPs of compute performance. The card comes with 2 GB of GDDR5 VRAM which is due to its low-cost and eSports focused nature. The card has been designed to deliver best experience in MOBA and eSports titles. 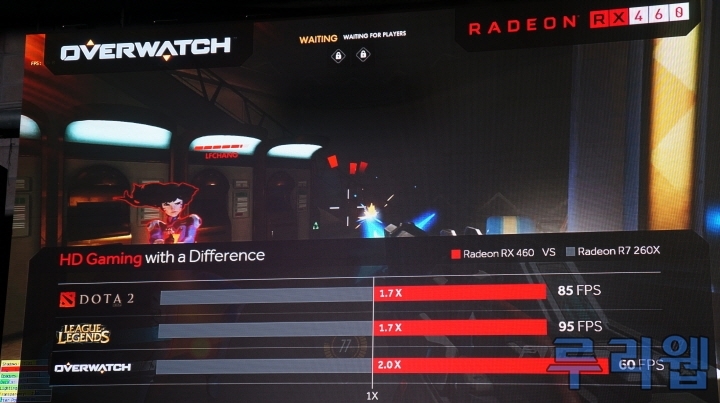 In comparisons made by AMD, they test the Radeon RX 460 against an R7 260X at same settings on 1080p resolution. The Radeon RX 460 is 1.7x faster than the Radeon R7 260X in DOTA 2 and League of Legends. In Overwatch, the card is up to 2.0x faster which is a significant improvement for the small Polaris 11 based card. Since the card features the same GCN 4.0 architecture as its bigger brother, we will be getting up to 2.8x perf per watt improvement over past generation GCN products such as the Radeon R7 360. 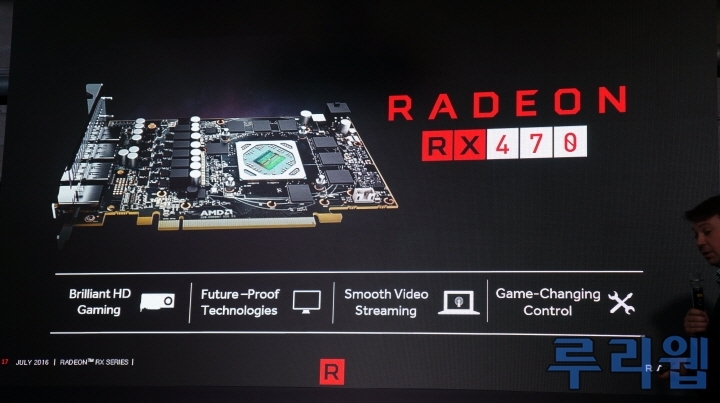 The Radeon RX 460 also comes with Display Port 1.3 / 1.4 HDR capabilities. The AMD Radeon RX 460 features a design similar to the R9 Nano that looks and performs great. 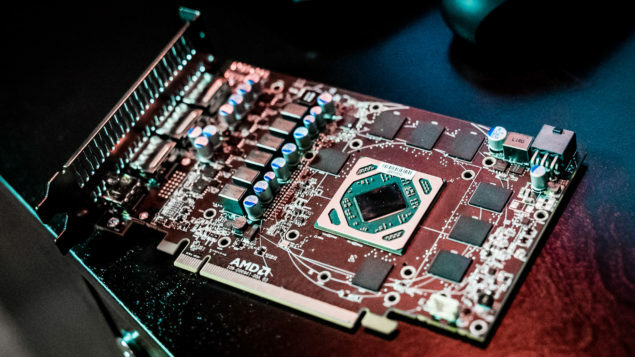 The card will feature a TDP of less than 75W which means it will be powered via the PCI-Express bus and won’t need an external power connector. The card features a really small PCB and has a cooler design similar to the Radeon R9 Nano which looks compact and premium for a $99 card. The graphics card will launch close to August. Which Radeon RX series card is the most interesting in the Polaris lineup?